Soumaya Ben Daou is Research Fellow at UNU-EGOV. She is also an Assistant Professor at South Mediterranean University where she was appointed as Management of Information Systems Discipline lead. She coordinates the program of Master Business Management in Big Data and Business Analytics at the Mediterranean School of Business (MSB). Soumaya was previously an assistant professor at Nipissing University where she started as a Postdoctoral Research Fellow in innovation technology. She holds a PhD in Information Systems and Technology from the joint program in business administration at the University of Quebec in Montreal in affiliation with Concordia University, HEC Montreal and McGill University. She obtained at the same time a PhD in Management of Information Systems from the Paris-Dauphine University in France with a thesis titled: “Building Change Capabilities for e-Government Continuous Development”. 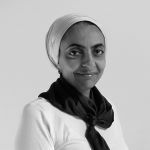 Soumaya research interests include, among others, e-Government, innovation, management of information systems, business process management, modelling and analytics, organizational and digital transformation, and organizational and dynamic capabilities.